Posted March 24th, 2018 By Matt McKay. It may be difficult to imagine your parents needing to lean on you for help as they get older. They’ve always been the ones to give you a hand and keep you moving in the right direction in life. But one day, the roles may be reversed. If you’ll be the primary caregiver for your aging parents, know that it can be an enormous undertaking. This role reversal comes with an inherent financial balancing act: How do you continue meeting the day to day obligations of your immediate family and add in the oftentimes astronomical costs that come with elder care? A lot of us could be in this position in the coming years. Planning for it now is the way to go. 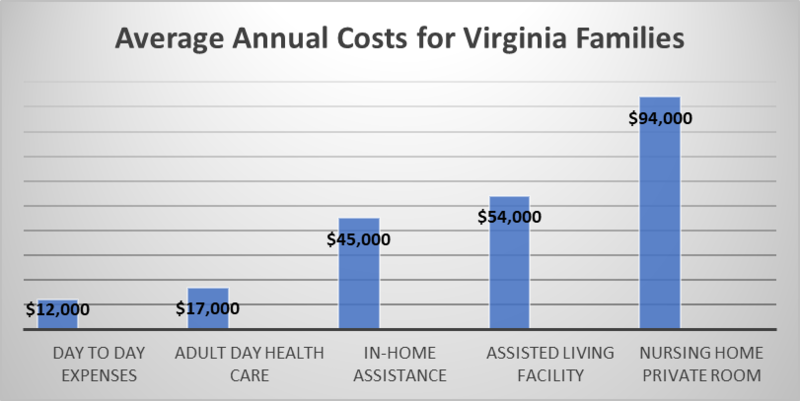 Elder care costs are skyrocketing. Even if you’re able to manage your parents’ care at home in the beginning, getting the necessary renovations done to make your house elder-friendly could be quite expensive. It’s also extremely common for older loved ones to need additional professional assistance as their health begins to falter over time. As more help is needed, the ongoing costs rapidly increase. Careers may be put on hold. Caregivers simply can’t handle it all, and many are left with no choice but to cut back on hours at work to manage their parents’ care. It can be a full-time job in and of itself. Some even take years out of the workforce to fill this role, which means their household income takes a prolonged dip. Add in the loss of employment benefits, like health insurance and company retirement plan matches, and it can be a hard hit to the family finances. Many people who are in this position are working on reaching their own financial goals, like saving for retirement, paying for their kids’ college educations, and buying a home. In fact, 62% of respondents to a recent survey said having the added financial responsibility of caring for their parents has impacted their ability to plan for their own future financial needs. There’s simply less money around for the caregiver to set aside for their various goals. Talk to your parents and find out more about their current situation. How financially prepared are they for the future? Do they have funds set aside for their care? What do their assets look like? Do they have long-term care insurance? Will they have access to government assistance programs? If your parents are unsure about where they stand financially, seek help from a financial professional. Even if you find out things aren’t as organized as you’d hoped, it’s better to know that now than be surprised in the future. Create an actionable plan for what you can do financially and timewise down the road. Add your parents’ care in as a monthly goal in your personal financial plan. Start setting aside additional funds to meet this obligation. Just like with any other goal you’re working toward, start small and increase as you’re able. A little bit over time can go a long way. The most prudent way to prepare you and your family for what lies ahead is to plan for it in advance. If you’d like us to give you any additional guidance on how to make sure your parents are taken care of, we’d be happy to do so.